I’m one of those rare breeds of people; the ones many know about from books, or friends of friends. I actually grew up on the island of Manhattan. As if that minority status wasn’t enough, it’s heightened by the fact that I still live in the very same complex I grew up inside. A complex which in itself is a paradox; a giant suburb filled with parks, and families, yet identified by indistinguishable, medium sized buildings hovering near a booming city. Stuyvesant Town has had many reincarnations and even more infamous owners. Middle income housing, family oriented, impossible to get an apartment in, quasi housing for partying post grads, and now, leased as luxury rentals. It’s hard to imagine in this day and age that at one time there was an actual paper list consisting of hundreds of names just waiting for someone to pass on and open up their home to them. Today, the family vibe has returned, but the allure of my old neighborhood never quite will. There was just something special about old school Stuyvesant Town. Walking to Ess a Bagel on Sundays with mom waiting for bagels and lox. Seeing the flowers being planted, noticing all the barren trees suddenly blooming around me, and knowing right then, spring was in the air. And then of course, there was the yearly annual event for residents; the Stuyvesant Town flea market. Essentially a giant yard sale surrounding all of Stuy town giving each renter the chance to sell their wares, and pawn off their trinkets and treasures to others, and wandering outsiders. A haven for those who love to scour fleas, and yard sales, all without having to leave New York City. Visions of selling items out of my red Radio Flyer Wagon as a little city kid still feel just as vivid today. Even that white fanny pack I wore to hold my cash; which I of course thought was a fortune. As I grew up, and times changed, so did the neighborhood. And then one year, the flea market, just like so many other things I’d grown up with, was gone. And so was I for a while. This small circumference, it’s own little circular island had been the safe space that surrounded me most of my young life. The road to the world outside, only steps away, waiting for the day I’d head out into it, and out of my comfort zone. But years later, something unexpected happened. I wound up back in the same place I started. That patch of land I knew so well had sneaked back in, like a childhood home calling you back. But this time, I wasn’t a child, and the home I entered, my own. Earlier this month, I noticed those buds again. The trees were blossoming, and it was clear, the season was changing. Outside, laughter and cries of children playing in the park wafts through my window like the comforting smell of dinner coming. Still, there is something lost in the neighborhood I inhabit today. But in those moments, I find happiness in my little suburb. Now, after over a dozen and more years, I’m finally getting to relive my childhood. This year came word they had brought the beloved, local event back, much to the excitement of this townie. 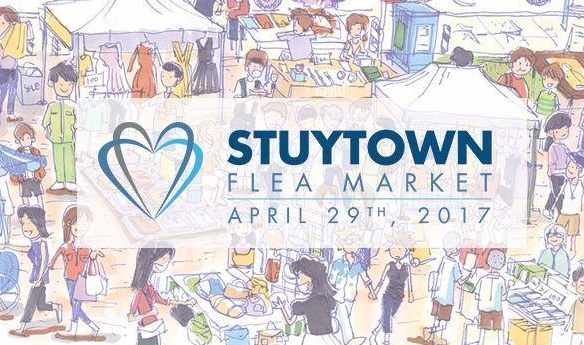 The Stuyvesant Town Flea Market makes its exciting return tomorrow and will run from 14th to 20th street between first and Avenue C. Anyone can come for free and browse through hundreds of vendors, selling all sorts of items from vintage toys to albums, housewares and much, much more. I may not be the same little girl pawning goods out of my Radio Flyer. But some things really do never change. Which is why this weekend you can find me at Lot # 467 inside the Oval at the Stuyvesant Town Flea Market. I’ll be selling my Beecharmernyc sterling silver charm & jewelry line, and my husband will be selling his amazing collage art. Ugghhh I am so jealous you grew up and get to live in Manhattan. Markets are my favorite and when I was in New York in November I loved stopping by the markets and grabbing little bites of food to eat and walk with. Whenever I go into big cities I always marvel at the fact that people actually live in them. It’s a weird thing for me to think about. I grew up about 40 miles south of Boston, in a rural town, and while I’m no stranger to the city the idea of living there seems to foreign to me. Have a good time at the flea market! 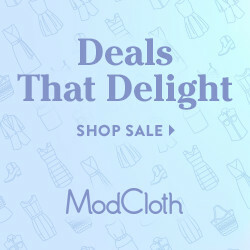 It sounds like a cool place to go and sell your jewelry.